The Keto Education initiative provides registered dietitians with training and educational opportunities to advance the ketogenic diet across the country. The goal of the Keto Education initiative is to provide a variety of high quality educational opportunities for registered dietitians such as webinars, lectures, journal clubs, and CEU events. The initiative also aims to establish a mentorship program to provide new ketogenic dietitians a strong network of colleagues to support their career and success. Ultimately, we envision a nationally accepted framework of training and education for ketogenic dietitians. Help us make this vision possible! 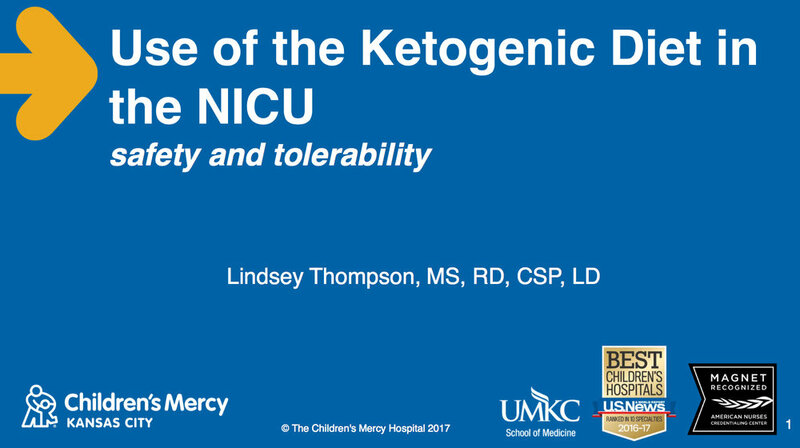 "Use of the Ketogenic Diet in the NICU"